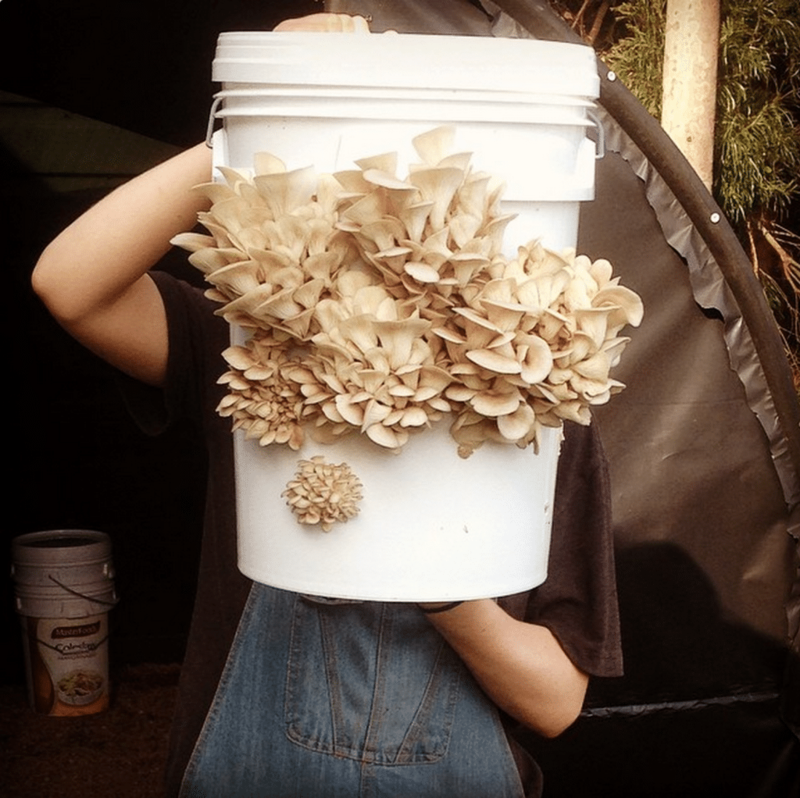 Here’s another of our gourmet mushroom cultivation students who’s off and growing! 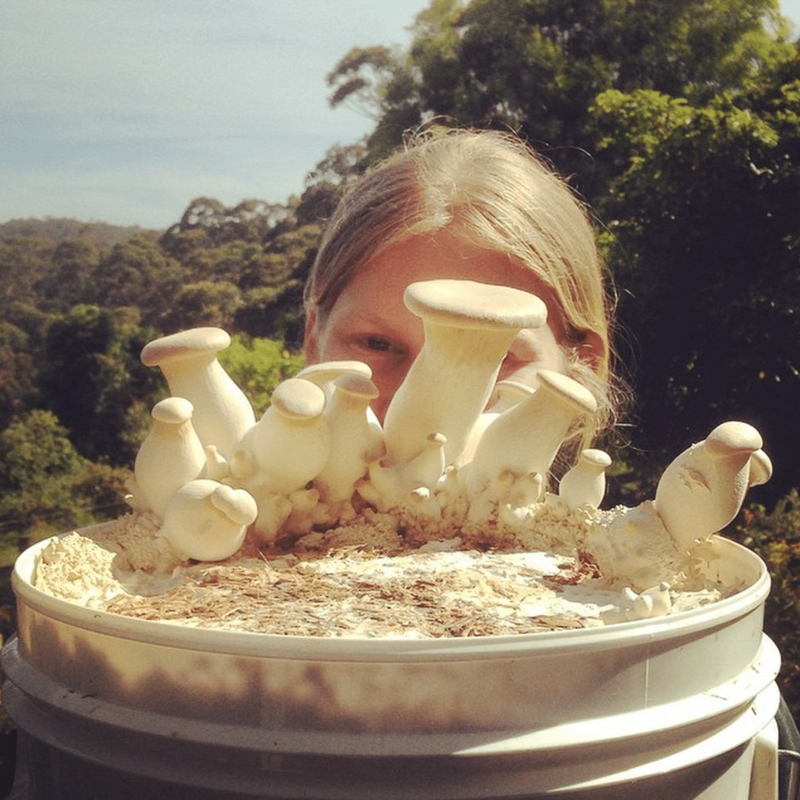 Marita Smith lives in the Morton National Park just behind Milton on the South Coast of NSW and over the last year she’s been setting up an awesome local food initiative. So firstly, where are you? On a farm? I live in the Morton national park, ten minutes outside Milton. It’s up in the ranges, looking out over the valley and the sea below. 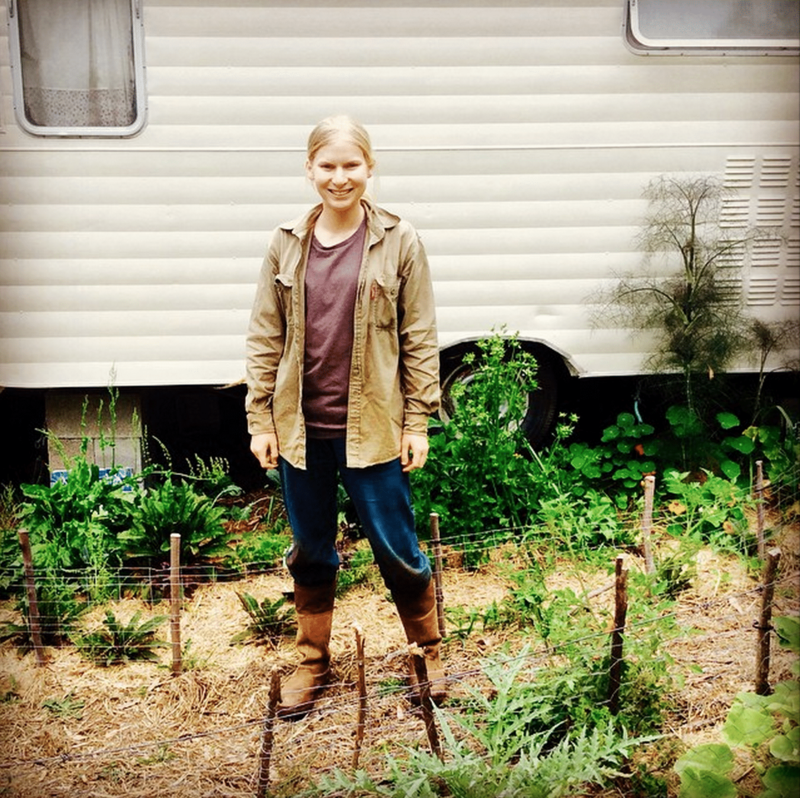 I’m living in a caravan on a corner of my parent’s 100-acre farm. A friend of mine kept an ear out for people looking to offload a used van while I was overseas wwoofing, and found a gem. My friends and I disassembled the caravan and re-built it. It was tricky but worth it – I now have a functional, tiny home for free. I work in the vegetable garden and orchard here on my parents’ property to pay rent, and all-in-all it’s better than I could have ever dreamed. My family moved to Milton in 2000 from Sydney to live the coastal, rural life they’d always dreamed of. I moved away to study science at The Australian National University, then I worked as a researcher on an international climate change project investigating temperature changes around Australia. Then I went wwoofing through England, Wales and Scotland in 2013. My experiences completely changed my view of the world. 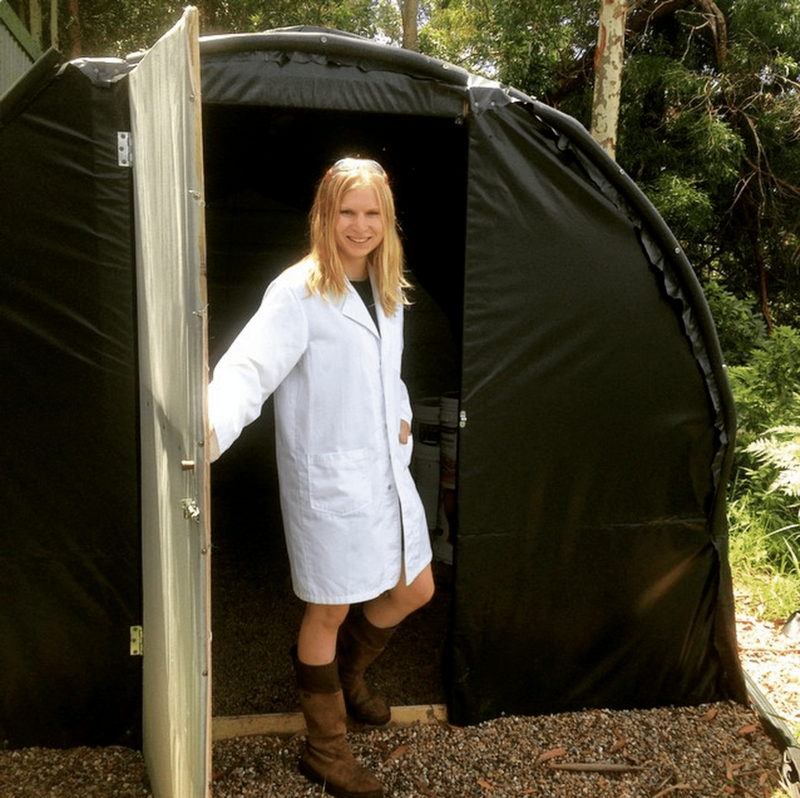 I returned to Australia inspired to live more sustainably and do something practical. 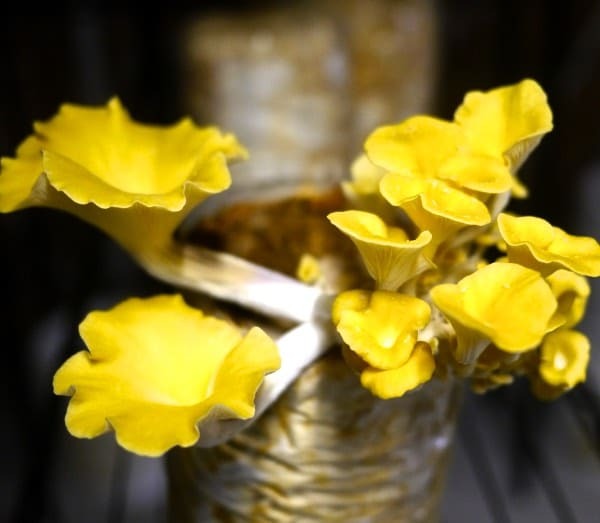 Are you doing this mushroom enterprise on your own? Great stuff. 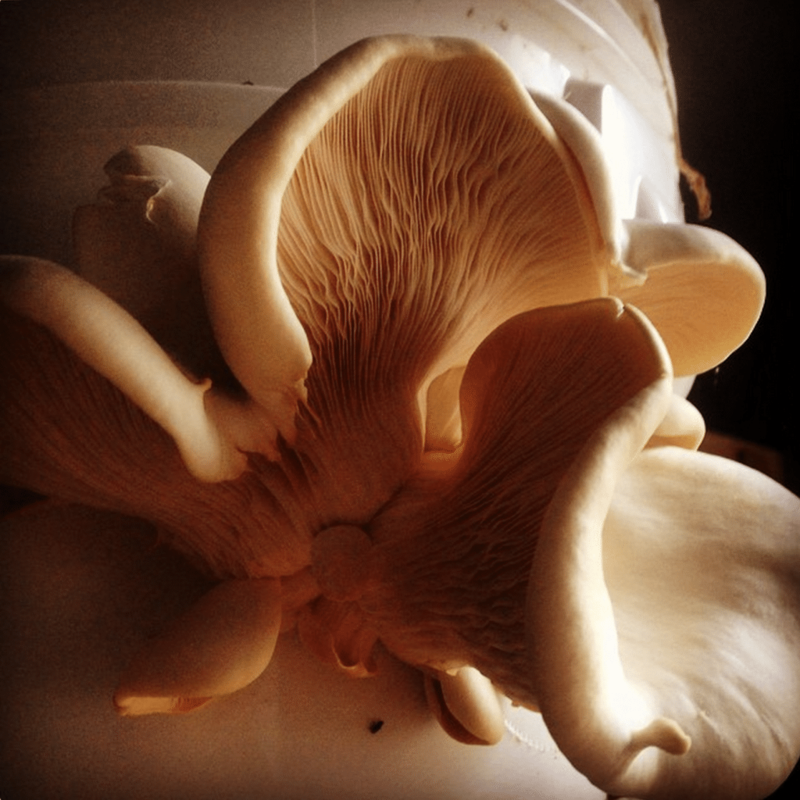 So what was the motivation behind growing mushrooms? Last year, I was lucky enough to be working at an incredible local restaurant, St Isidore, and studying horticulture full-time. I worked in their market garden, where they grew most of their own produce. Jo and Alex, the co-owners, were kind enough to send me to the Milkwood mushroom cultivation course last year. The planets aligned, I guess! I had been vegan for over a year at that stage and the idea of a sustainable, locally grown protein source was completely irresistible. I couldn’t wait to start growing at home. The science component sealed the deal. 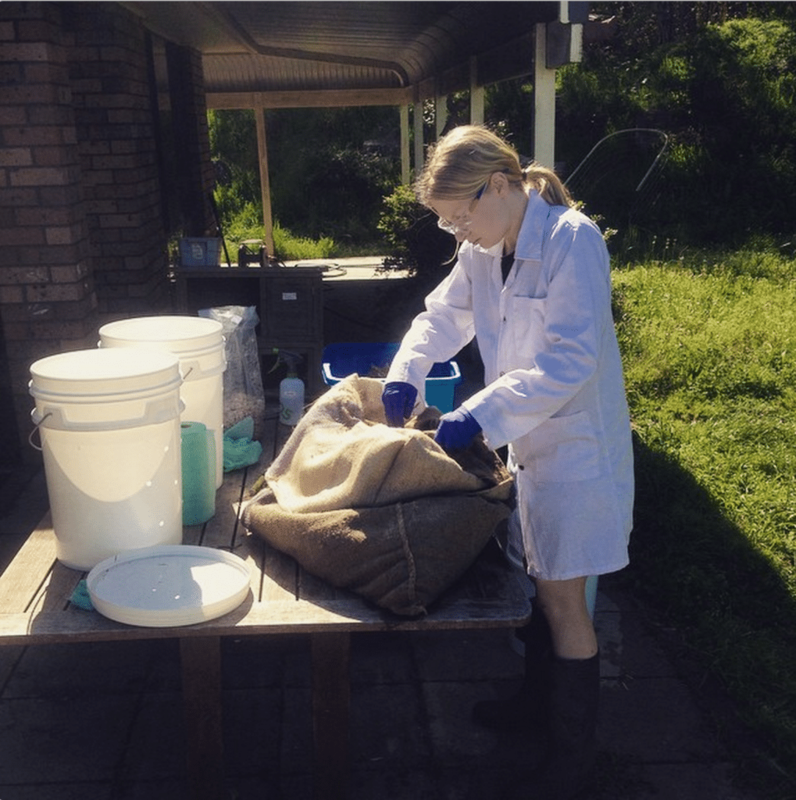 It was the perfect self-employment opportunity where I could use my science background and support local food sustainability. 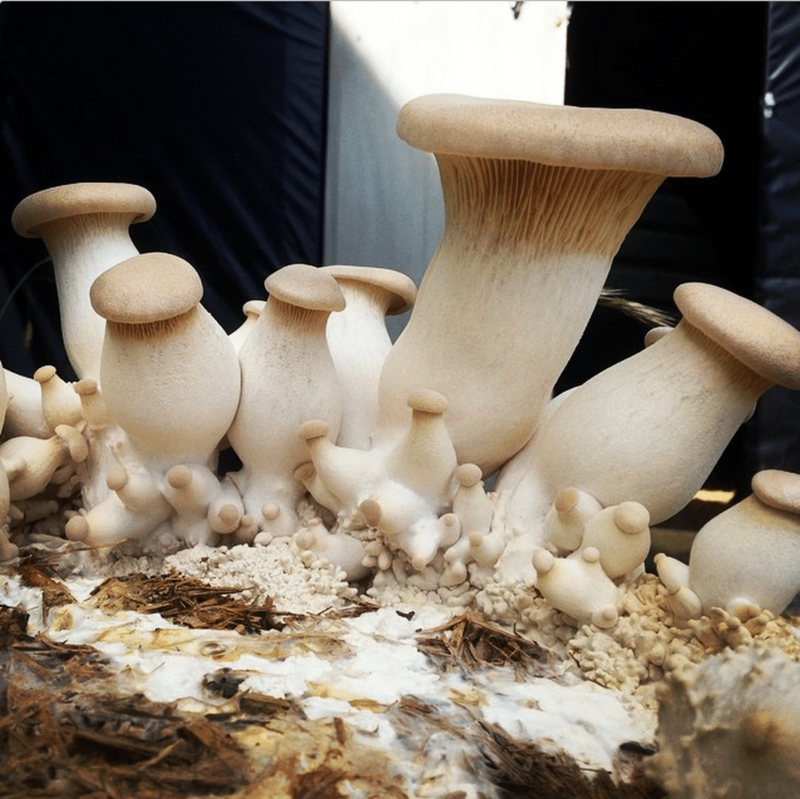 Can you tell us about your mushroom cultivation setup? 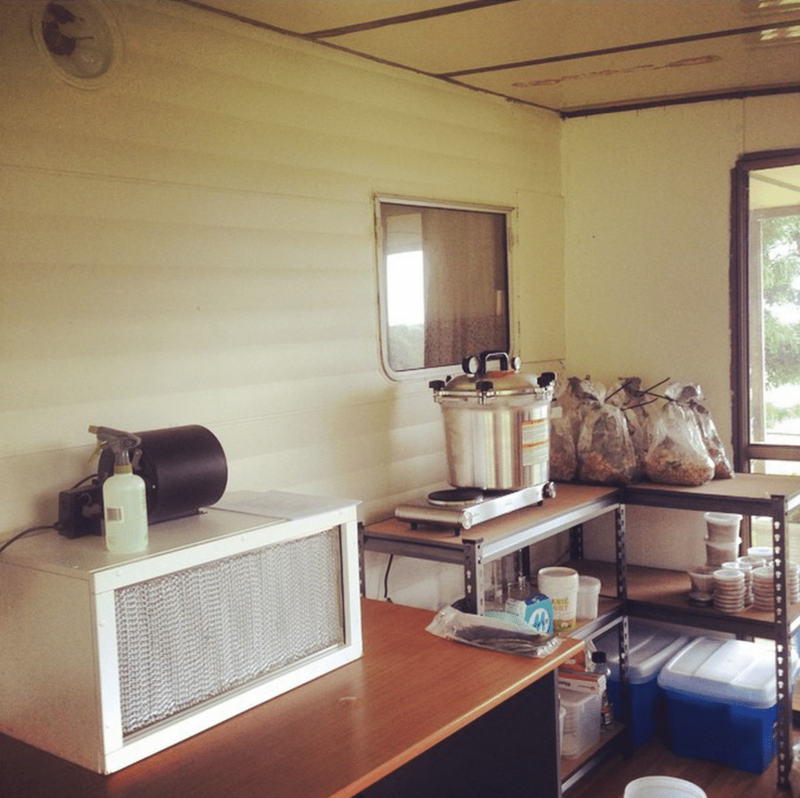 My lab comprises the annex section of my caravan. It’s built of commercial cool-room panels, so it’s great. Still can’t believe it would have been taken to the tip! It’s where I do all my grain sterilization, culturing, and store my petri dishes and grain masters. For my grow room, I’ve built a polytunnel using dark plastic, with the rear wall composed of an old trampoline for ventilation and moderate light penetration. The door is an old mattress cover, so there’s flow-through of air from rear to front, albeit in a low-tech manner. I’m in the process of installing an overhead misting system using a rainwater tank as well. At the moment, I go in twice a day and brandish two spray bottles, Lara Croft style, to mist manually. 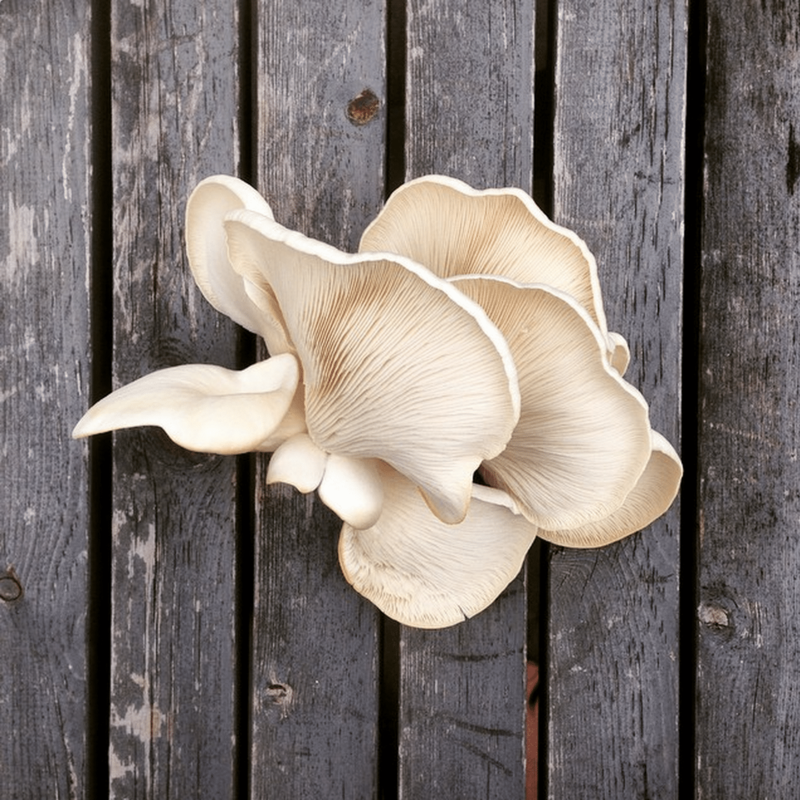 What sort of mushrooms are you growing? I’m growing primarily King Oyster, Phoenix Oyster and White Oyster. I hope to expand throughout 2015 as I get more established. What’s the main cultivation techniques you’re using, and why did you chose those ones? I’m using a combination of the bucket method and bag culture. For consistency of production, I’ve found smaller buckets and bags to be most successful. Large 20L buckets can take upwards of 6 weeks before cropping. I’m using a combination of sugarcane mulch and local sawdust as substrate material for now. 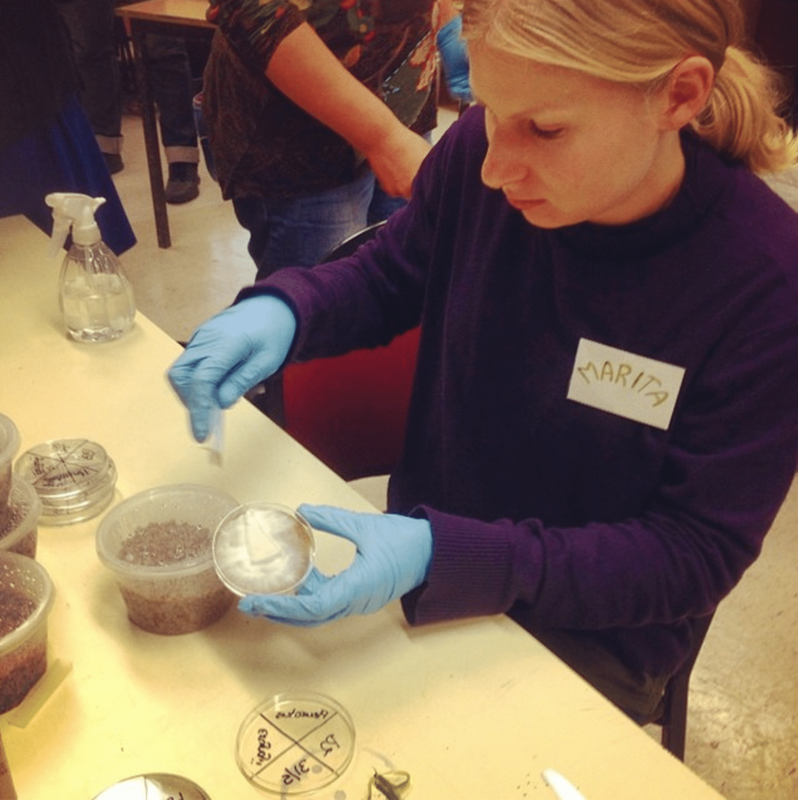 I’m looking to source my substrate materials completely from the farm over the next few months. There are underground springs on part of the farm, with an enormous cluster of Livistona australis palms. My aim is to use the dropped, dried fronds instead of outsourcing for sugarcane mulch. When I do that, I’ll have minimal production inputs. And now you’re scaling up from home production into enterprise land? I’m hoping to supply several local restaurants, primarily St Isidore. There’s a real gourmet food scene here in my local area. We’re spoiled for choice with seaside escapes such as Rick Stein’s Bannisters, Tallwood and lakeside wineries like Cupitts. Then I’m hoping to expand to several incredible wholefoods cafes, including the iconic Pilgrims and developing Milk Haus. Any advice for aspiring ‘shroomers? Give it a go! Don’t get disheartened if something doesn’t work. Contamination definitely happens. If you think shrooming is something you’d like to explore, find yourself a decent HEPA filter. It’s definitely worth it. I found a large secondhand one on Gumtree for $250. What were your main resources while you were in your initial learning phase? 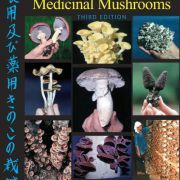 Obviously, the mushrooming bible, Growing Gourmet and Medicinal Mushrooms (third edition), by Paul Stamets. I also love his book Mycelium Running. And then of course the Gourmet Mushroom Cultivation course with Milkwood. 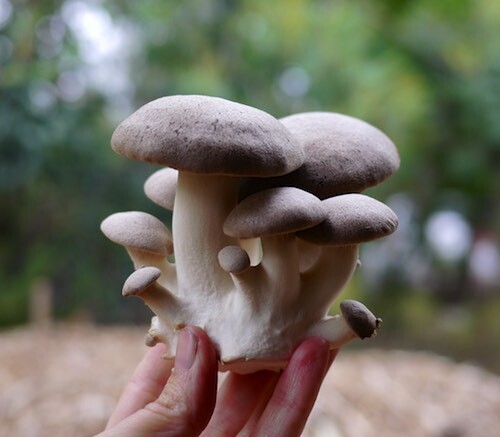 Also, the Milkwood mushroom course resources proved extremely useful, as did keeping in touch with alumni on the Mushroom Cultivation: Milkwood alumni facebook group. It was reassuring to have people to share successes and failures with! How can folks follow your progress from here? For now, you can find me on instagram at marita_smith and also miltonmushrooms. 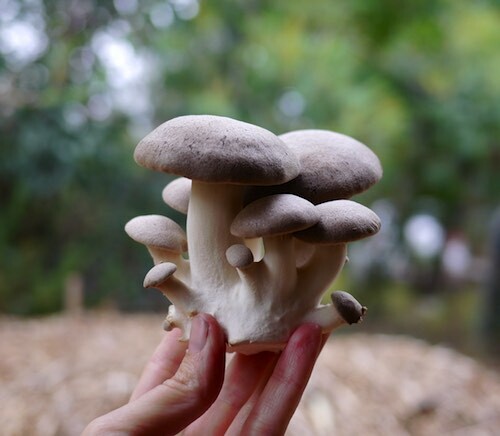 This is the bit where we point out that our Gourmet Mushroom Cultivation course is awesome, and effective too. All photos above by Marita Smith. All hail the turkeytail! 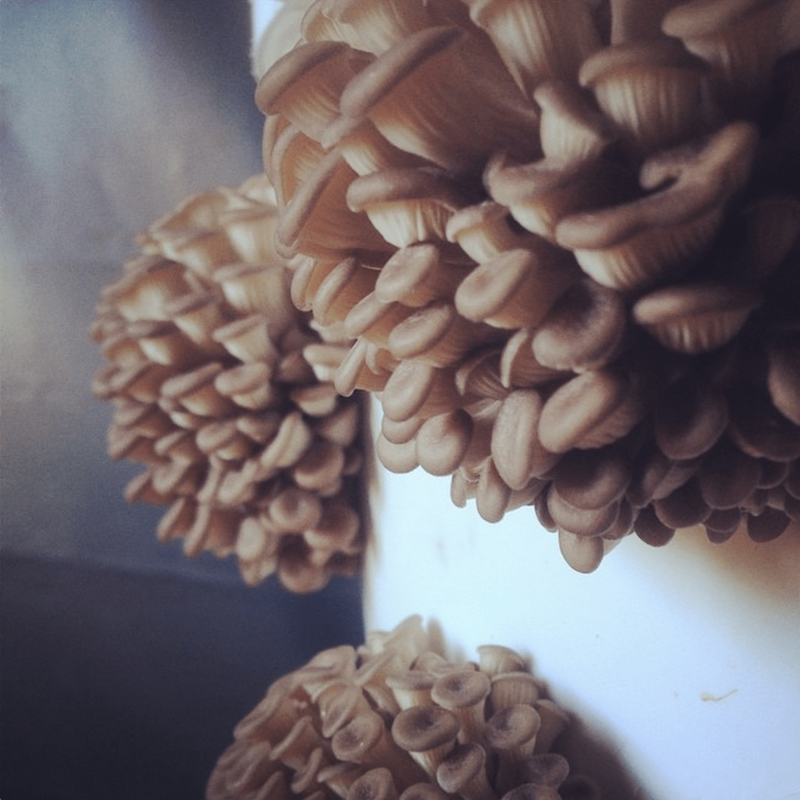 No matter where you live in the world, t . .
Making grain spawn is a stage of mushroom cultivation the whole f . .
Do you sell mushroom kits. I owul dlove to grow some swiss brosna at home in a small bucket like yours ? ?